Do you want a magazine but can’t make it in to the library? Want to be able to check out the most current magazine edition? Discover Tacoma Public Library’s emagazine collection available through RBdigital. 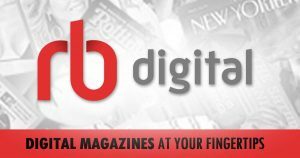 RBdigital emagazines offers full-color digital magazines for anytime, anywhere reading on desktops and mobile devices and includes both the current and previous editions of magazines. All of this is available without set checkout periods or download limits. There are also apps available for: iPad® iPhone®, Android™ and Kindle Fire™ that provide you the same access to all of our eMagazine titles as you have from your desktop.